There are many ways you can turn your grilling not only into a flavorful and fun way to cook but also into a healthy way to eat. By choosing foods that are low in fat, high in nutrients and full of flavor you can get great meals that are also healthy. 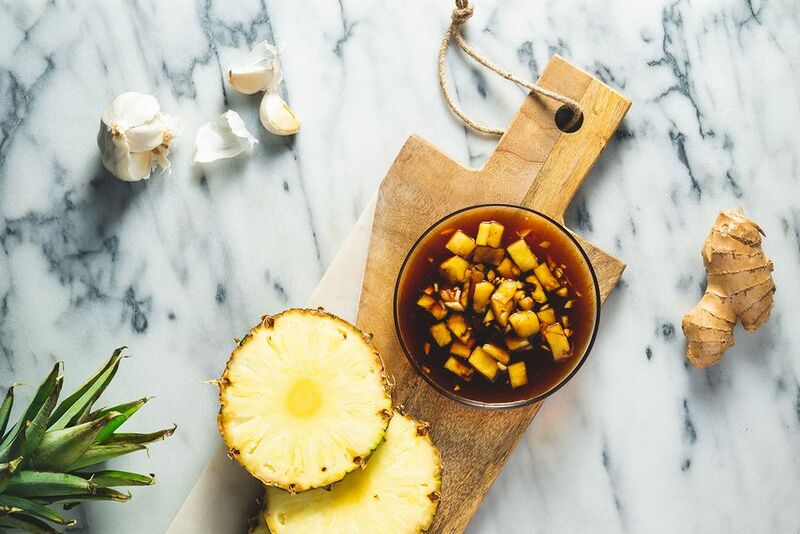 Use marinades not only to add extra flavor but also to reduce the formation of cancer-causing substances on foods. A marinade containing olive oil and/or citrus juices can reduce the formation of these chemicals by as much as 99% and marinades tenderize meats and make a much better meal. While the risk is real and you really need to keep this in mind, there are some simple things you can do to greatly reduce the cancer risk. The two primary substances, for those of you interested, are: Heterocyclic Amines (HCA) and Polycyclic Aromatic Hydrocarbons (PAH). In the simplest explanation, these chemicals are formed by putting food, primarily meats in contact with intense heat and flame. They are known cancer-causing agents so you need to reduce their formation as much as you can. Now grilling isn't the only cooking method that causes these agents and there isn't a reason for you to give up on your grill. Recently scientists at the Food Safety Consortium project at Kansas State University have discovered that herbs of the Lamiaceae family (Basil, Mint, Rosemary, Thyme, Oregano, and Sage) used in marinades reduced HCA formation dramatically. This is good news and a great reason to grill with flavor. These herbal antioxidants reduce the formation of free radicals (bad stuff) when the meat hits heat. Keep your grill clean. A clean grill not only cooks better it is safer in every way. Trim excess fats from foods. These fats are the troublemaker so keep it to a minimum. Use marinades based on olive oils and/or citrus juices. This is the number one way to stay safe. Avoid flare-ups. Flare-ups burn foods and this increase HCA formation. Don't overcook foods. The charred bits on foods are the largest sources of PAHs and HCAs so if you have charred sections of meat cut them off. Use herbs like Basil, Mint, Rosemary, Thyme, Oregano, and Sage to add flavor and reduce HCA formation in foods. If you follow these rules not only will you greatly reduce the risk of these cancer agents but you will reduce the fat in meats that you grill. Of course, grilling is a great way to reduce fat, but this takes it even further. If you buy lean cuts, use lite marinades and serve up your grilled foods with a good helping of fruits and vegetables then you will really be grilling healthy.